Warm weather. Long days full of sunshine. Open windows. Green leaves and Spring flowers. What could be better than all of this? The anticipation of fresh, local vegetables is almost over as the first spring foods begin arriving here at Oryana. We now have fresh local rhubarb and asparagus is beginning to trickle in. But as the season progresses it’s a symphony of flavors with the variety of foods coming in each week. We have a wide variety of interesting grains in our bulk department including black quinoa and farro, and to encourage you to try them, here are a few recipes that also have a spring twist to them. The farro is very similar to wheat but is more digestible and offers a higher nutritional value. The black quinoa has the same nutritional value as white and cooks up the same as white quinoa. In a large saucepan, heat the olive oil. Add the shallot and cook over medium heat, stirring occasionally, until softened, about 5 minutes. Add the farro and cook for 1 minute, stirring to coat it with the oil. Add the broth, bring to a boil, reduce heat, cover, and simmer for about 25 minutes. Stir in the asparagus, heavy cream, cheese and butter and simmer until the risotto has thickened, about 5 minutes longer. Season with salt and pepper and serve. 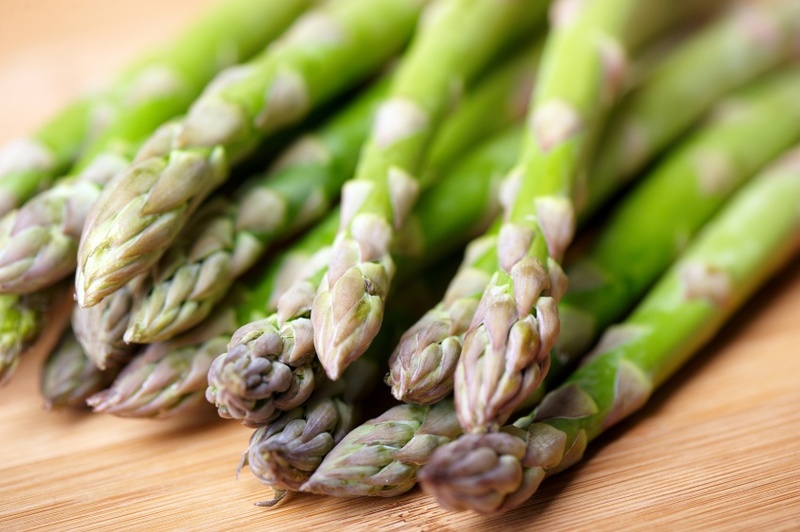 * To blanch the asparagus, bring a pot of salted water to a boil, add the asparagus, and cook for 2 minutes. Using a slotted spoon, remove the asparagus pieces to an ice water bath to shock the asparagus and stop the cooking. Drain and set aside. Heat oil in a medium pot over medium heat. Add garlic and onions and cook for 1 minute. Add tomatoes and cook 1 minute more. Add broth, quinoa, salt, pepper and tofu. Bring to a boil, reduce heat, cover and simmer for 10 minutes. Arrange asparagus on top of quinoa mixture, cover and continue cooking for 10 more minutes. Stir gently to combine. Serve sprinkled with lemon juice and crumbled feta cheese. In a sauce pan, combine quinoa, water, milk, rhubarb, cinnamon, nutmeg, and salt. Bring to a boil, reduce heat, cover, and simmer for 15 minutes until quinoa is tender. Stir in maple syrup to taste. Serve sprinkled with toasted nuts. In a large soup pot, heat the oil. Add the celery and leek and cook over moderately high heat, stirring a few times, until softened, about 5 minutes. Add the farro and tomato paste and cook, stirring, until the grains are coated and shiny, about 30 seconds. Add 1 quart of the broth and the beans and bring to a boil. Lower heat and simmer for 30 minutes. Add the carrots and remaining 1 quart broth. Cover and cook over low heat until the carrots are tender, 30 minutes. Add the peas and zucchini, cover and cook until tender, about 5 minutes. Season with salt and pepper and serve sprinkled with parsley and Parmesan.